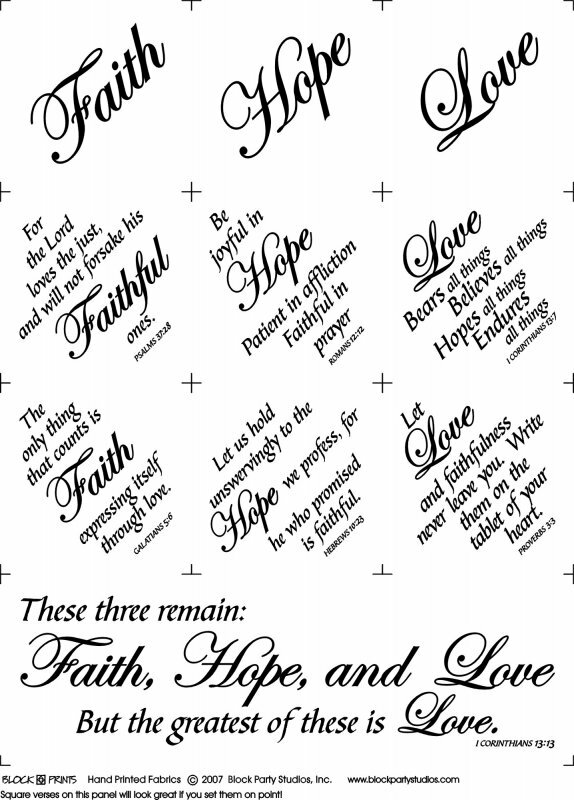 Six inspirational blocks with scripture verses in concert with the three blocks "Faith Hope and Love" with the title banner. Black print on Natural or White fabric. Fabric panel can also be purchased with Quilt Pattern 54700.